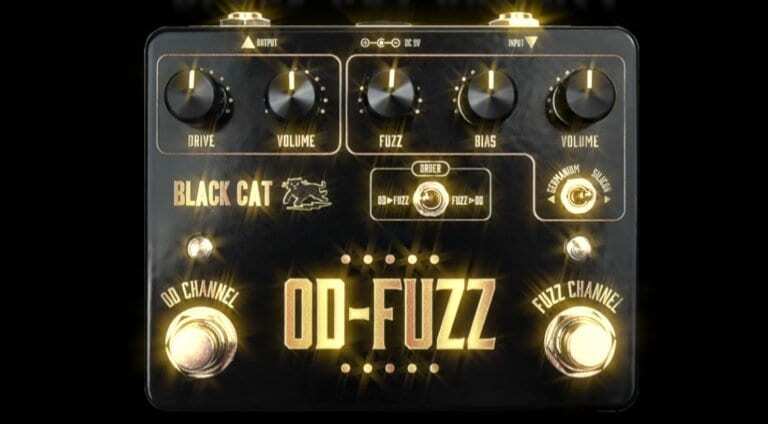 The new Black Cat OD-Fuzz Deluxe boutique pedal is based around a JFET OP275 and contains both an overdrive and fuzz circuits in one unit. That could make for a very versatile pedal, with Black Cat aiming for both flexibility and a modern take on some classy, dirty 60’s tones. Let’s take a look at what’s on offer. 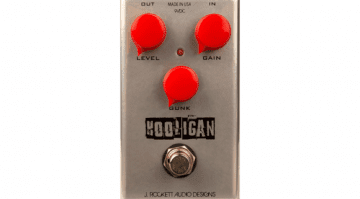 This versatile pedal combines a modified fuzz face circuit and an overdrive, each with its own set of controls. The aim here is to allow you to dial-in exactly the tone you’re after. The heart of the pedal is the JFET OP 275, which gives the pedal it’s characteristic ‘harsh’ overdrive tones; these can also be combined with its fuzz sounds. You can even adjust the bias of the fuzz circuit for that ‘dying battery’ fuzz tone, by starving the circuit and simulating the effect of a battery on its way out. This makes for a fairly aggressive and gnarly-sounding overdrive and fuzz combination. To my ears, the sound is very reminiscent of dirty ’60s guitar tones. Each pedal is hand-wired and built in the USA. 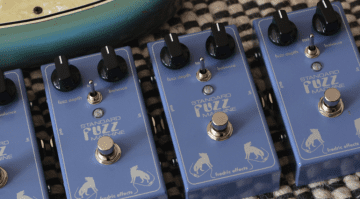 They are, of course, true-bypass, which is great as old ’60s Fuzz Face pedals can be real tone suckers and so this modern ‘update’ makes them far more pedalboard friendly. You can also run the Black Cat from a power supply, again something old fuzz pedals would not usually offer. 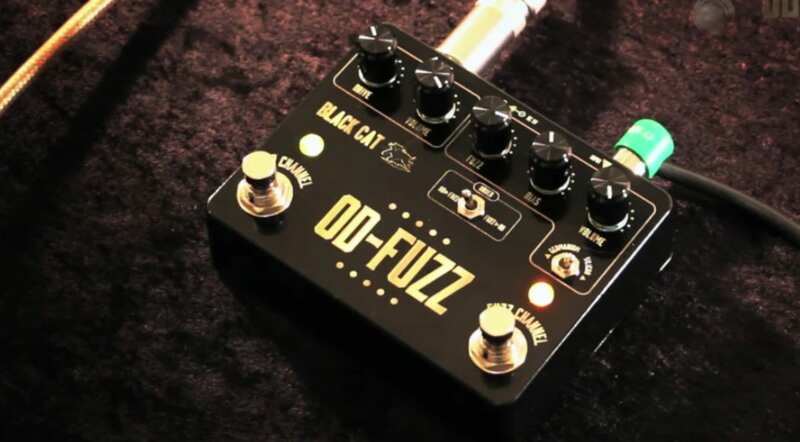 Black Cat OD-Fuzz Deluxe. 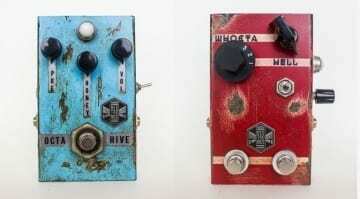 Fuzz and dirt galore! On top of this, the fuzz can also be run on either Germanium and/or Silicon transistors. One gain stage uses a fixed NOS Philips BC109 Silicon transistor, whilst the other stage uses another NOS Philips BC109, or a NOS 1960s RCA Germanium transistor. Each has its own tonal characteristics, with Silicon normally associated with sounding a little more full on or harsher than Germanium. Check out the official demo video below for some audio demos of the pedal, to get an idea of what can be achieved. I like the layout as it is clear and concise, plus the sound I think would be really useful in a band scenario, as I imagine it will cut through pretty nicely.